One of my best friends is an amazing artist from Birmingham, Alabama named Robin Miller. 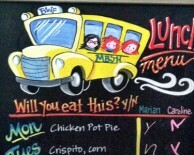 When she showed me the Lunch Planner Chalkboard that she created I knew I just had to share it with you. Technology plays a big part in kids’ future success and Webkinz engages students’ imaginations, helping them learn through play. These soft, adorable friends are much more than a toy. 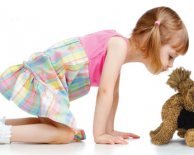 To a child, a stuffed animal is a companion they can interact with and relate to.